Rebecca Hutchins is a behavioral optometrist who has been in practice for over 30 years now. Her practice philosophy is based on a collaborative approach: she believes in problem-solving with each client in order to determine the best way to meet that person’s visual care needs. Behavioral optometry is a term applied to those O.D.’s who take the time to assess a person’s visual needs in all areas: work, school, sports, hobbies, etc. during a vision evaluation. Dr. Hutchins works directly with the patient, and does not use a technician for information gathering, as she believes that even routine testing contributes to a better understanding of a client’s needs. 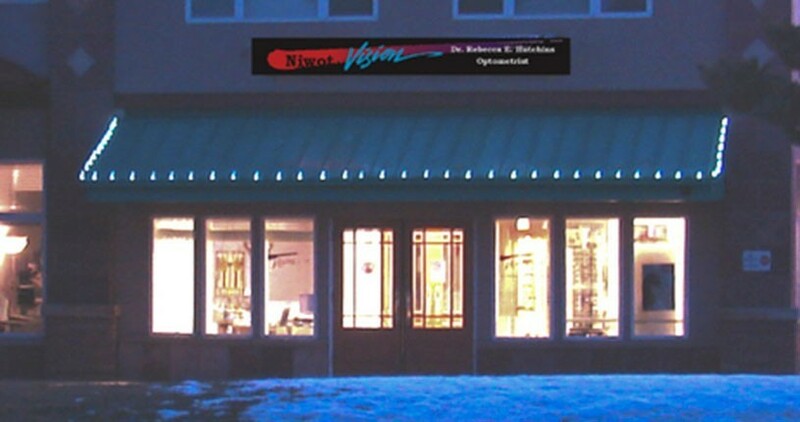 Our office provides full-service care including glasses, contact lenses and vision therapy. We work with those wanting a new prescription for glasses, or contact lenses, and also with children struggling in school or sports, those with multiple handicaps and communication problems, and adults who want functional visual assessment after a stroke or acquired brain injury. Our office participates in the AOA Infant See program to screen infants from 6 months to 1 year at no charge. Our vision evaluations are usually 45 minutes in length, and if more time is needed, we will schedule further testing for binocular vision, eye health issues, or perceptual skills at a later date. Dr. Hutchins also works with clients with developmental delay and those on the autism spectrum. She has written an article on vision and autism. Over the years she has frequently checked prescriptions with osteopaths and chiropractors and extremely sensitive patients have found this to be an extremely helpful collaboration. Due to the individualized care we provide, we do not accept any insurance plans, but are happy to provide a fee slip, which may be submitted to private insurance companies or cafeteria plans. Please stop by our office and ask to see the selection of frames and sunglasses in the optical and our many pamphlets describing different visual conditions. In addition to annual vision evaluations, we also provide vision rehabilitation for Traumatic Brain Injury and optometric vision therapy.